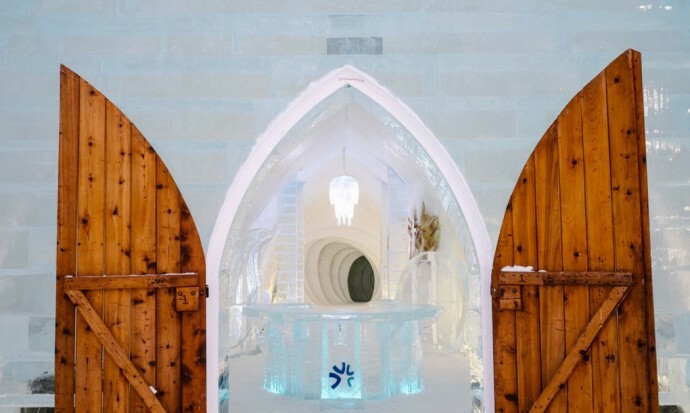 Made entirely of snow and ice, Quebec City’s Hôtel de Glace is all set to welcome guests to stay and experience their annual winter wonderland. 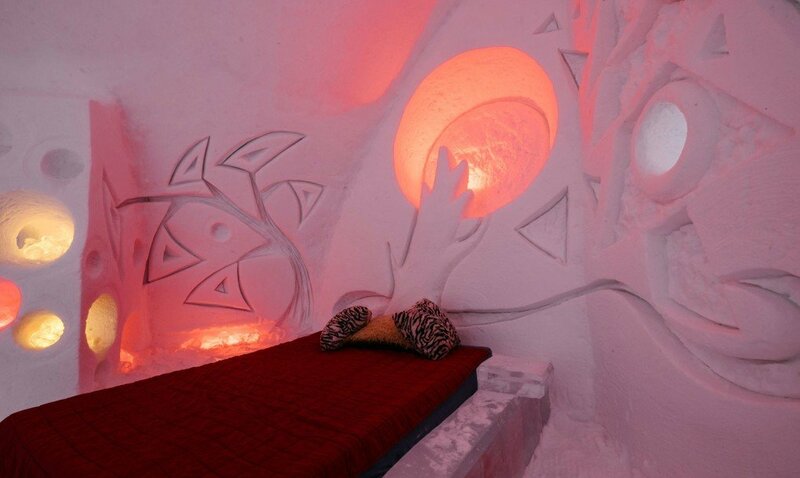 Every year the hotel reopens with a new design and offers its guests a true Canadian winter experience in igloo-style rooms. 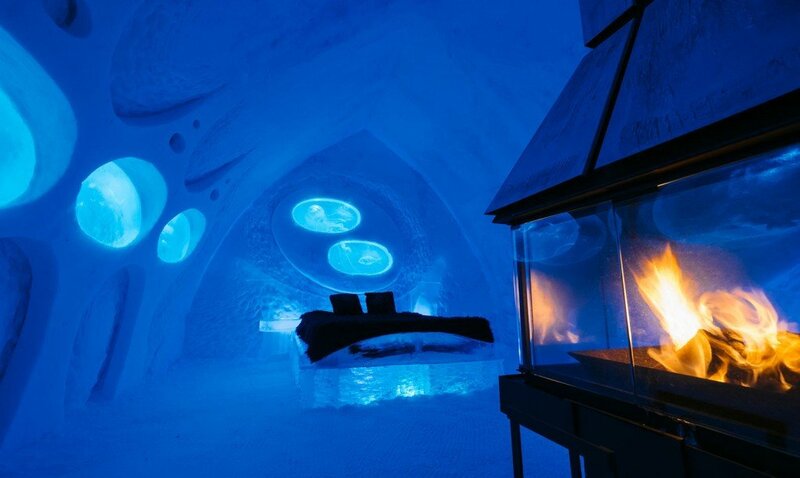 The hotel made of 500 tons of ice and 30,000 tons of snow is truly a design marvel. 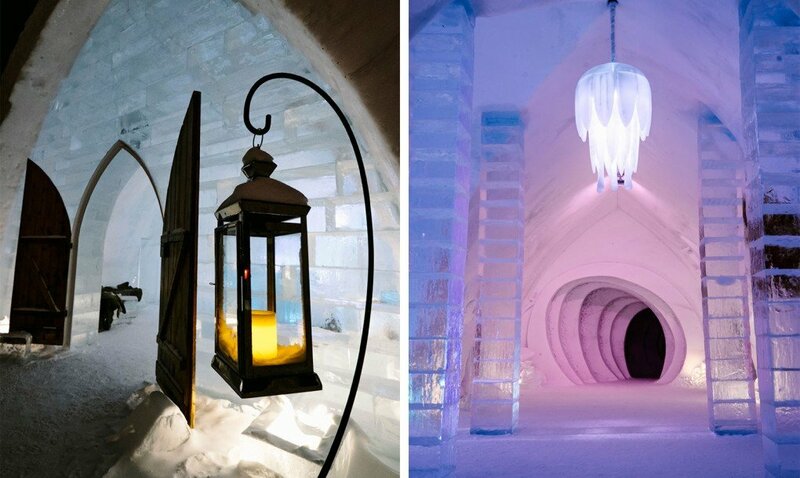 Since it opened for the first time in 2001, the Hôtel de Glace has welcomed over a million visitors. 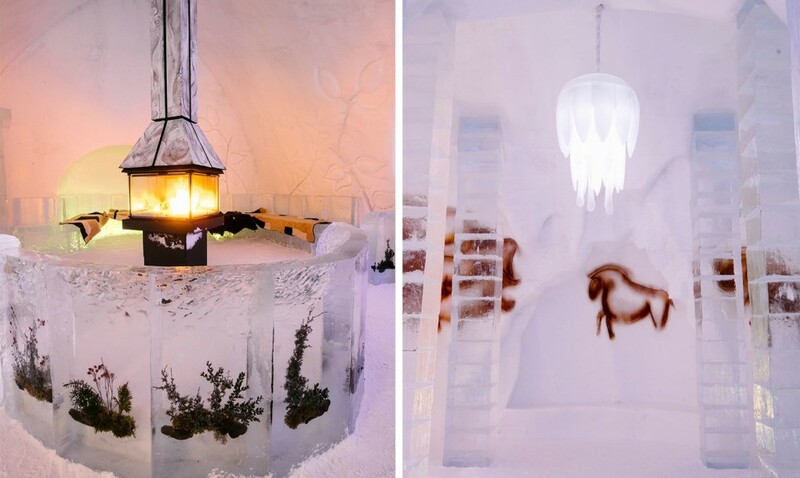 Spread over 3000 square meters, the cool hotel features 44 rooms and themed suites, a “Nordic area” with hot tubs and a sauna under the stars, an Ice Bar, Ice Chapel, and a “Grand Ice Slide” for some icy adventures. Every year the hotel is built from scratch, over a period of six weeks in December, taking shape from a design conceptualized by a winner of a design competition. 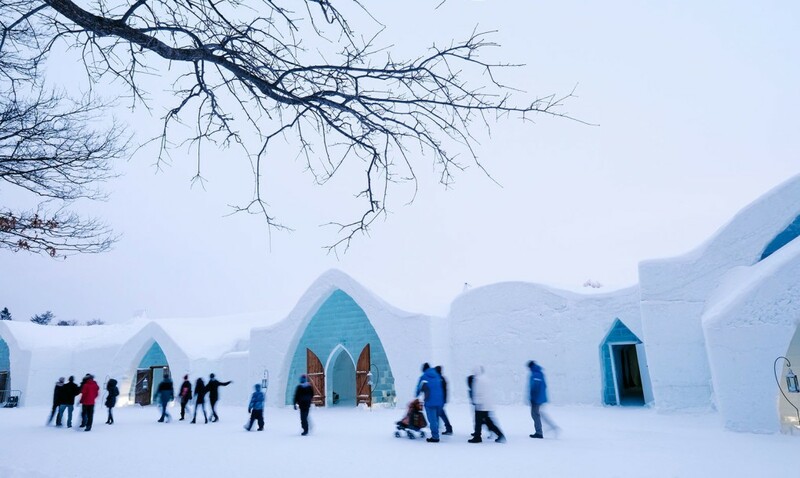 Construction begins when the temperatures drop to -5°C. Snow blowers are brought in to produce over 30,000 tons of snow as real snow cannot be used because it is too dry and airy. A five-foot-thick foundation is created over which snow is molded around metal of various shapes and sizes. 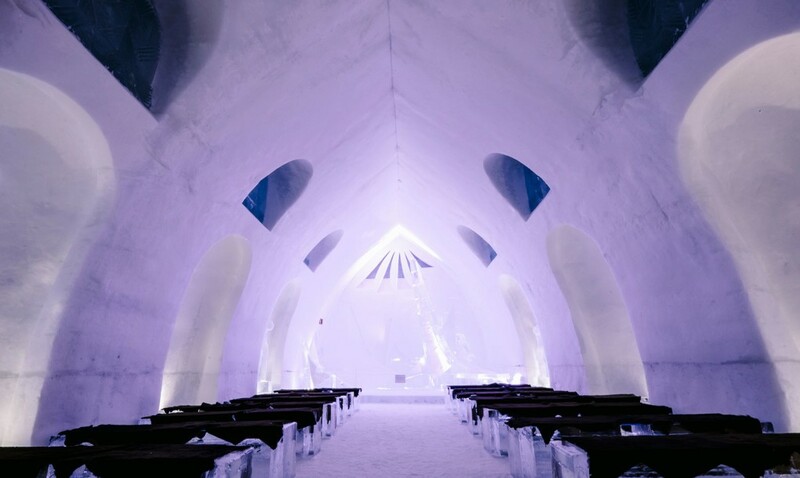 Then 500 tons of massive ice blocks are used to build everything from chairs, bar stools, tables, columns, sculptures and ice glasses that create lighting effects. 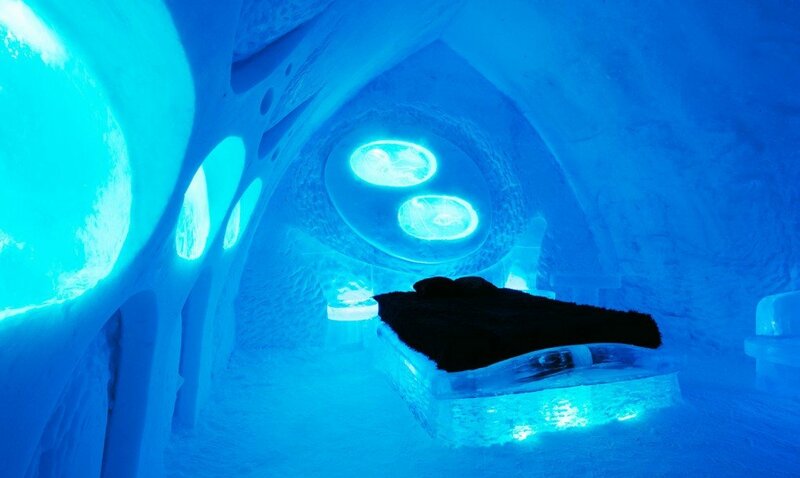 For those keen to stay, there is a list of to-do’s to prepare the body for the nordic temperatures. A three-layer clothing technique is recommended with an interior layer that allows humidity to escape. Synthetic clothing or a mix of wool and synthetic fabric are recommended. The middle layer must isolate air and control humidity and so a wool, flannel or polar fleece sweater is recommended. And the exterior layer must shield wind and humidity without affecting your comfort and movements. 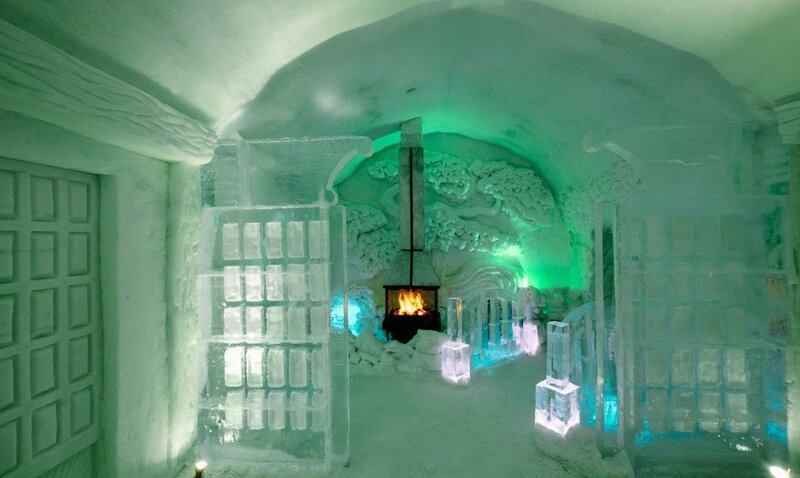 Room temperatures will remain between -3°C and -5°C all night long. 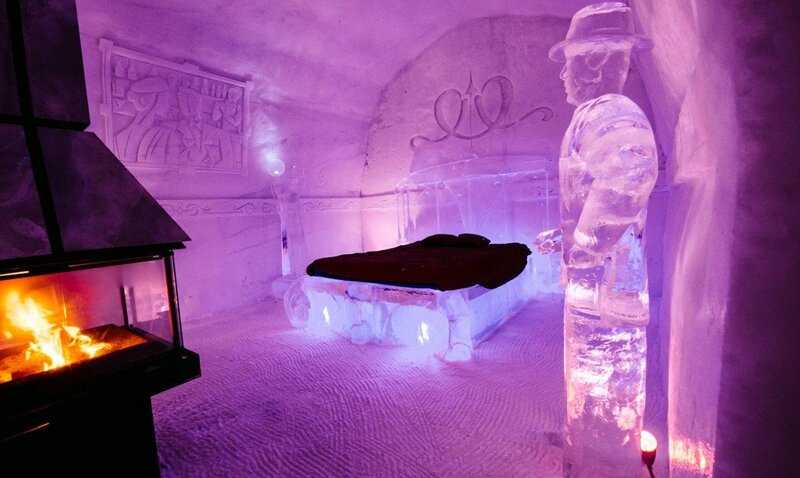 The hotel will provide sleeping bags and comfortable bedding that will sit over beds made of blocks of ice.